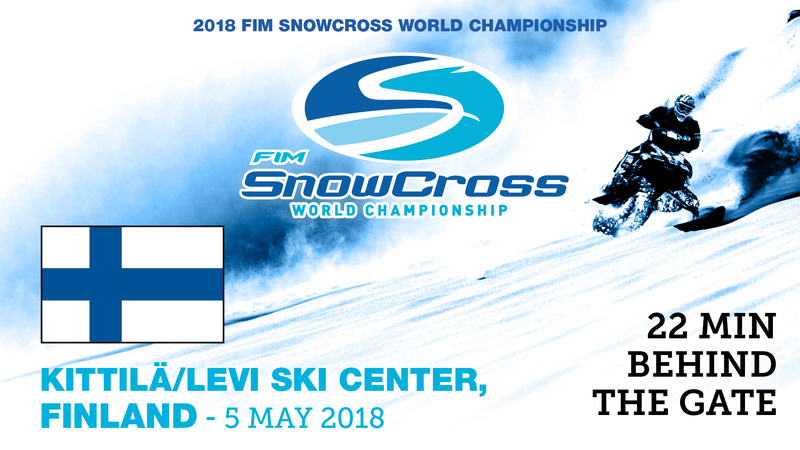 MONACO (Principality of Monaco) 14 May 2018 - Youthstream is proud to announce the television coverage for the 2018 FIM Snowcross World Championship which took place over the 4th and 5th of May at the Levi Snow Center in Finland. The unique two day event hosted the best Snowcross riders in the world included the Women’s Snowcross World Cup. Taking the World Championship title for the third year in a row was Adam Renheim while his sister, Marica Renheim, claimed the Women’s World Cup. A Youthstream TV crew was onsite to produce a special 22 minute feature of the event called “22 Minutes Behind the Gate” The feature will be aired in the US and Canada this Tuesday, May 15th, at 9:30pm ET (6:30pm ET) on CBS Sports Network along with many of Youthstream’s MXGP television partners around the world. In addition to the worldwide broadcasts scheduled the 22 Minute Behind the Gate feature can be watched on demand via MXGP-TV.com and on the MXGP-TV YouTube channel.